30 Mar How Much Does a New Roof Cost in Michigan? A Home Improvement Specialist from Modern Xterior Improvement will look at the following factors when estimating the price of your roof. 1. Pitch – How steep is the roof? As the pitch increases, safety becomes a factor and the difficulty to apply the roof. Roof pitch refers to the amount of rise a roof has compared to the horizontal measurement of the roof called the run. 2. Size – The size is a direct factor. The larger the roof, the more materials and time needed to complete the work. Roof surfaces are measured in “squares.” A “square” is an area of roof which measures 100 square feet. Metal roofing is sold by the sheet/panel. To determine the number of sheet/panels you will need to cover your roof, you should divide the width of the roof by the sheet/panel coverage width. Most other types of roofing are sold by the square foot. 3. Materials –What type of materials do you want? 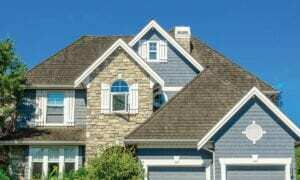 The type of shingle or roofing material that you select for your home will also affect the price. Ask yourself how long you plan to live in your home. Will you pass it on to your children? 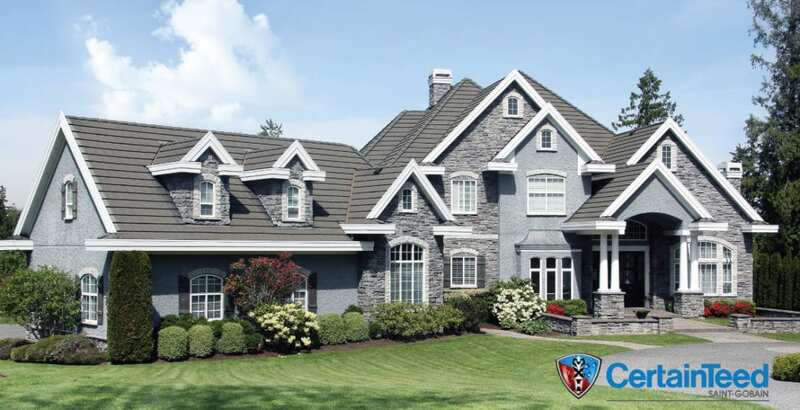 If you plan to be there for a while, it would be wise to invest in a more durable lifetime shingle. Do you want skylights or sun tunnels? Will your vents need to be replaced? There a quite a few moving pieces on most roofing projects that can all affect the price. 4. Labor – This is the biggest factor after materials. While everyone can get the materials for the same price, the labor is the biggest influence regarding price. The quality of the work increases the price or decreases it. The higher the quality work, the longer the warranty they can offer you from the manufacturer based on the rating of their labor, then the higher the price. Smaller companies who have been in business for a short period of time, despite their “years of experience” are often lower rated by the manufacturers. The average Michigan roofing company is in business for only 2 years, and they will most like be out of business when you need them. This also applies to Home Depot or Lowes, because they subcontract all their work to smaller, newer roofing companies. Modern Xterior has been in business for over 20 years and we stand behind all of the work we do. And will continue to for the life of your roof. Contact an MXI Home Improvement Specialist and they can help you find the right roof to meet your needs and fit a budget. Along with accepting all major credit cards, Modern Xterior Improvement is one of few companies you can get financing options for your new roof and for any other home improvement service that we offer. We will help you with the application process and have a dedicated staff that can help you navigate any questions or concerns you have about financing. Call us at 1-877-MODERNPROS or (734) 367-4867 to talk about financing your next home improvement project or talk with your representative. Read more about our financing here. Our Home Improvement Specialists can handle everything directly with your insurance company for you. This takes a lot of hassle out for you, and your MXI Representative can expedite the process for you. Call 1-877-MODERNPROS to Contact Modern Xterior Improvement for your Free Estimate and Assistance on your insurance claim. Can I keep any of the insurance money? It is illegal to profit from an insurance claim. If a roofing company offers to give you back part of the benefit from your insurance or not require you to pay your deductible, it is also illegal and should be reported and you can be held responsible. Also note that your insurance company will require you to use a licensed Michigan roofer. 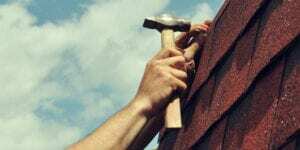 It is illegal to use an unlicensed roofer in Michigan, and you can be fined for the use of an unlicensed or improperly licensed Michigan roofer. Can I buy a Home Depot or Lowes Roof? Home Depot and Lowes subcontracts their roofs with newer companies. This means they find small and new roofing companies to install the work so that they can mark it up. 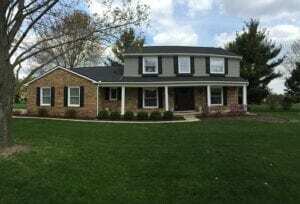 As the average new and small roofing company is only in business 2 years in Michigan, if or when there is an issue with the workmanship of your roof or a repair is needed, you will likely have a new roofing company come to your door. Because all work is subcontracted out, Home Depot and Lowes Roofs will almost always cost more so they can maintain a profit. The price difference may be significantly more and the value will be significantly less when you consider the quality of labor you will receive with these smaller contractors with less experience. Home Depot and Lowes cannot get rated for workmanship because they do not supervise the subcontractors work or install the roofs.